Dr. Mohammed Rais is a native of Dhaka, Bangladesh. He earned his undergraduate degree at Notre Dame College in 1977. His medical schooling was completed at Dhaka Medical College, where he also completed his first year residency as the Assistant Surgeon on In-Service Training and Assistant Surgeon Trainer, respectively. Dr. Rais completed his internship and residency at Kingsbrook Jewish Medical Center at the State University of New York in Brooklyn. He finished his fellowship in critical care medicine at New York University at Mount Sinai Medical Center in 1998. He then completed his cardiology fellowship at St. Vincent Catholic Medical Center at Cornell University/New York Medical College in Jamaica, New York, finishing as a clinical instructor in medicine. Dr. Rais is board certified in cardiology, internal medicine, critical care medicine, vascular medicine, endovascular medicine, and nuclear cardiology. He has met the level II and III requirements in coronary CT angiography training and is a specialist in clinical hypertension. He is a member of several highly respected professional societies relating to his specialty including the American College of Cardiology, the American Society of Critical Care Medicine, and the American Society of Nuclear Cardiology. 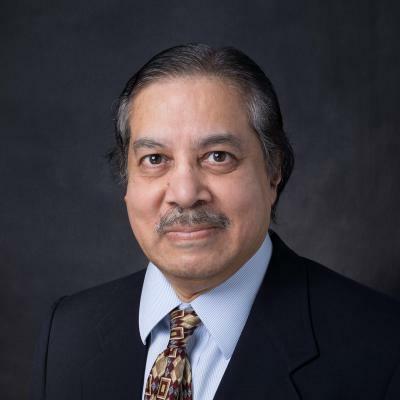 Dr. Rais has received multiple prestigious awards including Honorable Mention All Notre Dame Man in 1977, a full scholarship from the Government of Bangladesh Board of Education, Fellow of the Year at New York University in 1988, the Top Ten Research Award for 2000 at Catholic Medical Center, and many more. He is the author and co-author of many publications, presentations and abstracts, and he has completed countless experimental and clinical studies. Dr. Rais joined the CIS Thibodaux staff in 2002 after completing his fourth year of cardiovascular and peripheral interventional training at CIS.